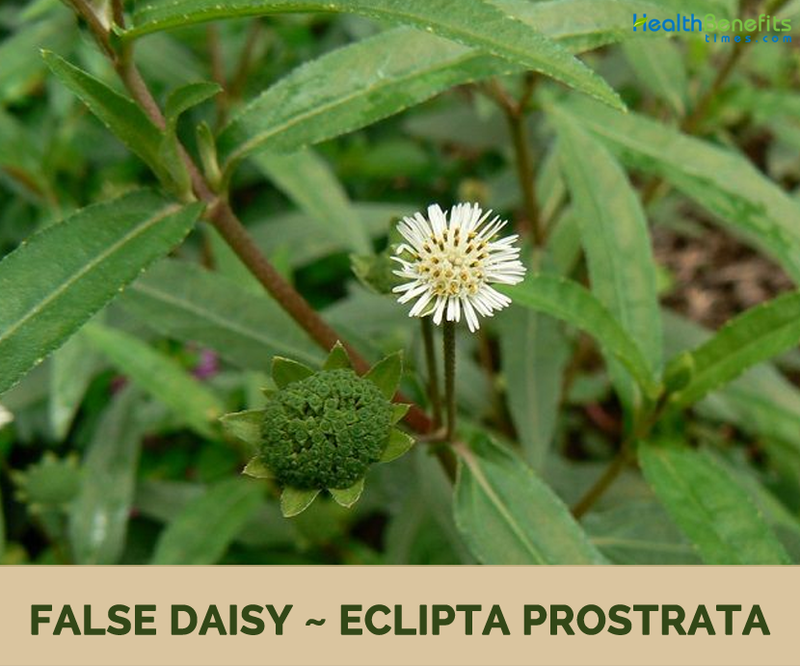 Eclipta Prostrata commonly known as False Daisy or bhringraj is actually a plant belonging to the family Asteraceae (sunflower family). The plant is commonly found growing in tropical areas as well as warm temperate areas throughout the world. Yet it is widely distributed throughout India, Thailand, China, Nepal and Brazil. 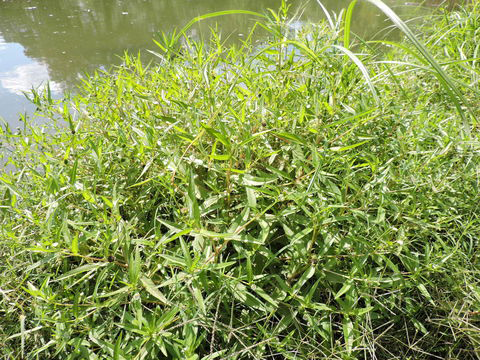 It is also known with the name of Eclipta Alba and other popular common names of the plant are Eclipta, tattoo plant, White Eclipta, White twin heads, swamp daisy, white heads, Bhringaraj, Congo lana, Thistles, Trailing Eclipta, yerba de tago and yerba de tajo. 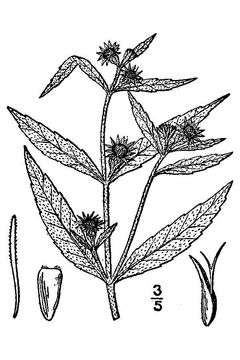 The generic name Eclipta comes from the Greek ekleipta, to be deficient referring to the absence of pappus on the achenes. The specific name prostrata is from the Latin “prostratus” and refers to the prostrate growth habit. 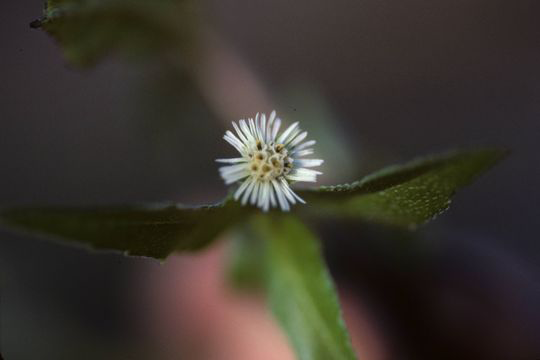 It is a common weed in the American tropics, but in some of the northern states in the U.S., such as Wisconsin and New York, it is considered an endangered or threatened native plant. False daisy is a much-branched, variable, prostrate, ascending or erect, rough-hairy annual herb that grows about 90 cm tall. The plant is found growing in poorly drained areas of moist black soil prairies, muddy borders of ponds and rivers, ditches, poorly drained areas in fields, gardens and edges of yards. This plant is most often found in disturbed wetland habitats, but it occasionally occurs in areas that are drier and more developed. The plant prefers wet to mesic conditions, and a loamy or mucky soil are preferred. The plant has well developed, cylindrical and grayish roots along with fleshy, non-woody, slender, reddish stems up to 30 centimeters or more in length covered with short, stiff hairs, rooting at the lower nodes. 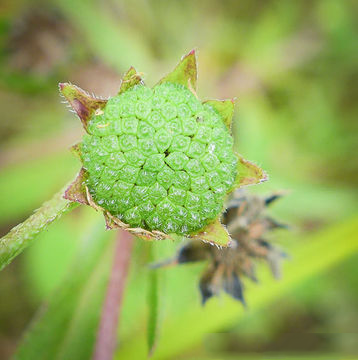 Leaves are opposite, simple, rough, dull green, ovate to oblong-lanceolate. They are 2-10 cm long and 1-3 cm wide. Apex is acute or blunt, base attenuate, margin entire or slightly serrate, pubescent, mostly sessile. 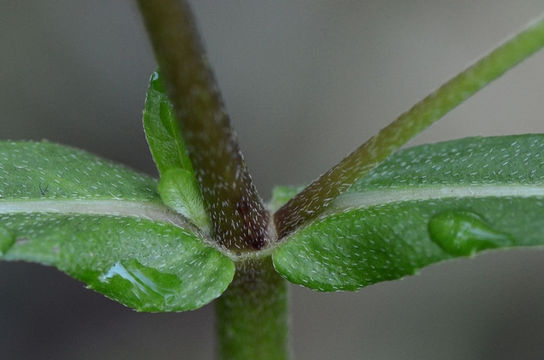 The lower leaves are occasionally short-petioled, basally swollen hairs on both surfaces, veins prominent. Flower heads are up to 1 cm in diameter, a cluster of sessile white flowers, in upper axils or terminal, solitary or two heads together. Peduncle, thickened at the top, variable in length, 0.5-7 cm long, hairy. Involucral bracts 5-6, green, ovate, in two rows, outer ones 4-6 mm long, inner ones usually shorter, prominent, and hairy. Ray flowers are marginal, pistillate and fertile. Corolla is white, ligulate, 2-3 mm long. Disk flowers are numerous, central, perfect, fertile, corolla whitish, tubular, minute, 1.5-2 mm long. Stamens are five, separated filaments, anthers coalesced to form a tube around the style. 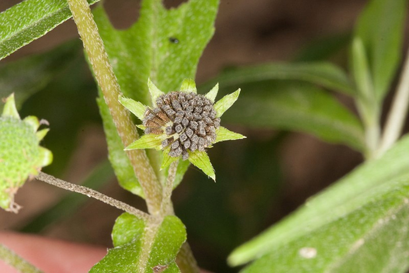 Fruit is a light-brown to black, laterally-flattened achenes, wedge-shaped, 2-3 mm long, 0.9 mm wide. Apex with short, usually white hairs that are easily broken off but two hornlike projections often remain pappus absent. Rest of the achene is glabrous and covered with many small warts. 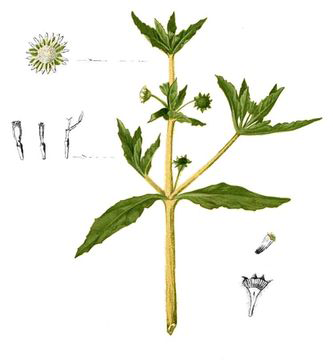 Primary constituents of Eclipta Alba consists of derivatives of thiophene, wedelolactone, dimethyl wedelolactone, desmethyl-wedelolactone-7glucoside isoflavanoids, flavanoids, glycosides, triterpine, ß-amyrin, luteolin-7-O-glucoside, luteolin, stigmasterol ,alpha-terthienyl-methanol, beta-amyrin wedelic acid, ecliptine, alkaloids and saponin. As bhringraj consists of high amount of iron, simple homemade soup made with its leaves helps to treat anaemia. Regular use of it is considered one of the best remedy for anaemia, thus use it regularly. Bhringraj has also showed outstanding results when it comes to sugar problems like diabetes. Active molecules present in Bhringraj help in controlling and lowering the glucose in your body, which is quite important for the people suffering from diabetes, or having high sugar levels. Bhringraj is considered effective for preventing pregnancy loss. Women suffering from a recurrent miscarriage can take Bhringraj Juice in a dosage of 3 ml on empty stomach in the morning along with Cow’s Milk. Traditionally, this remedy is used to prevent miscarriage and strengthen the uterus. For best results, it must be taken along with Ashwagandha, which is also used for similar purpose. Bhringraj juice along with equal amount of honey is given 3 to 4 times a day or until child gets relief from breathing difficulties. It is also beneficial for relieving cough, high-pitched wheezing, as well as chest congestion. Bhringraj is considered as a good cure for toothache. Simply rub the powder on the gums and you can notice the difference in just few minutes. Ethanolic extract and alkaloids present in bhringraj help in this pain relief. Bhringraj has the healing property for almost all skin problems that occurs due to the skin impurities. It helps to purify the blood naturally, which directly affects helps in reducing the skin diseases. It can be taken orally or applied on the skin to improve the look of the skin. Apart from giving you a young and healthy skin, it also helps in healing various wounds with a good speed. Hair pack made with bhringraj leaves can help to prevent baldness. Simply take few fresh leaves and grind it to a paste along with a little yogurt and apply it to the scalp. Wait for 15 minutes before washing it off. The fresh leaves can be replaced with dried powder too. Bhringraj extracts have been proven effective in promoting hair growth. This hair pack is supposed to be used at least once in a week for best results. Sinus is a serious problem that must be cured effectively. Take a handful of bhringraj leaves in a pan. Add some coarsely grounded peppercorns to it along with 3 pinches of organic turmeric powder. Add water and boil till it reduces in quantity and then strain. This home remedy works very well in treating sinus-related problems. Make sure that pepper corns are coarsely and not finely ground, else the mixture will be very spicy. This remedy can be used for young children too, but make sure you reduce the quantity of peppercorns before serving them. Bhringraj is considered to be the best remedy for the hair and is also used as a rejuvenative and liver tonic. It is astringent, deobstruent, depurative, emetic, febrifuge, ophthalmic, purgative, styptic and tonic. It is used internally in the treatment of dropsy and liver complaints, anaemia, diphtheria etc., tinnitus, tooth loss and premature greying of the hair. Externally, it is used as an oil to treat hair loss and is also applied to athlete’s foot, eczema, dermatitis, wounds etc. Plant juice, mixed with an aromatic essential oil, is used in the treatment of catarrhal problems and jaundice. Leaves are used in the treatment of scorpion stings. They are used as an antidote for snake bites in Korea. They are applied externally as an antiseptic to ulcers and wounds, especially in cattle. 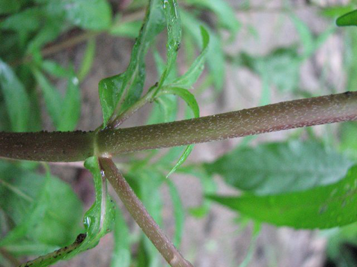 Whole plant can be used for cuts, bruises and sores in order to stop bleeding and relieve pain. Stem and Leaf can be used for Anemia and dysentery. Aerial portions of plant are effective in a beverage to remedy albuminuria. Leaf can be ground and rubbed on the head of infants for convulsions, and to make pigmented skin blotches on infants disappear. Leaf-juice can be used for thrush, and for treating leprosy spots. Juice of crushed leaves can be used in a decoction to wash the scalp for preventing hair loss. Leaves are crushed in water, then placed in linen and the juice squeezed into the ear to relieve a bad cold in Guyana. Plant is considered to have anti-aging properties. 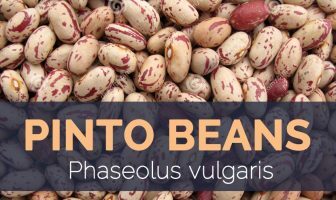 Seeds are used as aphrodisiac therapy. Paste is applied over the swollen areas of elephantiasis, abscess. Paste is also applied over wounds to reduce pain and to induce quick wound healing. Juice extract is used as eye and ear drops to relieve infection and pain. Juice extract is used along with castor oil to relieve intestinal worm infestation. It is a wonderful cure for respiratory ailments like Cold, Diphtheria, Lung Infections, Cough, Chronic Obstructive Pulmonary disease, Asthma. It is beneficial against Throat infection. Fried Eclipta Alba leaves are taken with ghee ( clarified butter ) in improving vision. Herb elevates the overall health of Reproductive system. It is beneficial to reduce the Hypertension. 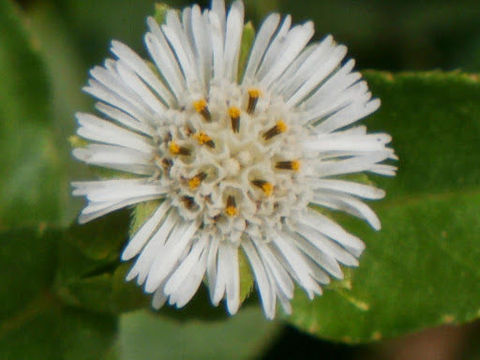 Eclipta Alba is wonderful for Skin disorders like Eczema, Athlete’s Foot, Leukoderma, Dermatitis and Abscess. It stimulates Appetite and eases the condition of Indigestion. Root decoction is effective in treating Joint Pain. It strengthens the Nerves and the Bones. Leaves and tops brewed in decoction are used in cases of hepatitis in Philippines. 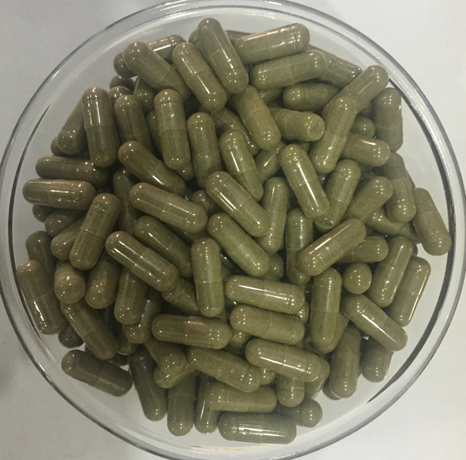 Decoction of Eclipta along with equal volume of Morus fruit can be used for weakness of the kidney and/or liver causing dizziness, blurring of vision, hematemesis and lumbar pains. Decoction of dried or fresh plant material is used for internal hemorrhage especially bleeding in the respiratory and gastrointestinal tracts. Boil 4 to 9 g of dried drug to decoction and drink twice a day for bloody stool and urine. Gray hair: Boil Eclipta Alba leaves in Coconut Oil. Massage with this oil over your scalp. It cures Gray Hair. Diabetes: Prepare a decoction of Bhringraj leaves. Add 1 tsp of honey in a cup of it. Drink twice a day. Baldness: Take 1 tsp of Bhringraj leaf oil. Add 5 to 10 drops of any carrier oil in it. Mix well. Apply on the scalp and gently massage for 15 to 20 minutes. Do this twice a day. Spleen Enlargement: Extract juice from crushed plant of Bhringraj. Drink 20 ml of it twice a day. Skin disease: Make a paste of Bhringraj leaves. Apply it to the swollen glands. Scorpion sting: Make a paste of Bhringraj leaves. Rub and bandage it over sting. Piles: Tie boiled leaves of Bhringraj over piles mass. Hematuria: Consume 10 ml leave juice of Bhringraj. Have it twice a day. Cold: Add half tsp leaf juice of Bhringraj in 1 tsp honey. Have it two times a day. Ascaris: Mix Bhringraj plant juice with castor oil in 2:1 ratio. Take 5 ml of it every morning with an empty stomach. High Cholesterol: Crush dried leaves of Bhringraj to make powder. Take 1 g of it thrice a day. Toothache: Rub the plant on your gums to get relief in toothache. Headache: Mix Bhringraj root powder with any carrier oil. Apply it to the head. It will provide relief from headache. Encephalopathy: Extract the juice of Bhringraj herb. Mix 1 tsp each of extracted juice and honey. Consume it thrice daily. Hair fall: Boil Bhringraj leaves in sesame oil and apply over the scalp. Repeat the process 2 times in a week. Uterine bleeding: Prepare a decoction made of Bhringraj leaves and one cup of water. Strain and drink four tbsp of this decoction two times a day. Phlegm: Extract the juice of Bhringraj herb. Mix 2 drops of this juice with half tsp of honey. It is effective remedy in case of children. It expels excess phlegm and also provides relief from cold. Earache: Extract the juice of Bhringraj herb by grinding and squeezing it. Mix the juice with some castor oil. Use it as an Ear drop. Put 2 drops of this solution in the painful ear. Dysuria: Mix Bhringraj root powder with common salt in equal proportion. Consume one tsp of this mixture. It provides relief from burning sensation during urination. Jaundice: Take 5 grams each of Bhringraj leaf powder and black pepper powder. Mix it with quarter cup of buffalo curd. Consume it for 5 days daily. Dehydration: Extract the juice of Bhringraj leaves. Mix 25 ml of this juice in 2 tbsp of honey. Consume it 2 times a day. Cracked Heels: Massage the cracked heels with Bhringraj leaf juice and paste. It will remove the dad skin and heals the cracked heels. Nervine: Mix one cup of Bhringraj leaves, one cup of cow ghee, 10 gram of Embelia berry powder and 10 grams of Liquorice powder. Boil it for 30 minutes. Let it cool and then filter it. Massage with this oil over the body daily. It will make nerves strong and improves blood circulation thus avoiding numbness. Liver Diseases: Consume 3 grams of Bhringraj freshly extracted juice of whole plant daily. Pain: Boil the leaf juice of Trailing Eclipta and Jequirity with Sesame oil. Cool it. Massage with 1 tablespoon of this oil Two- Three times a week and take a bath. Jaundice: Boil One tablespoon each of Trailing Eclipta leaves, Azadirachta Indica flowers, Radish and Shoe Flower in half liter water till water is reduced to half. Take thrice a day with One tablespoon sugar. 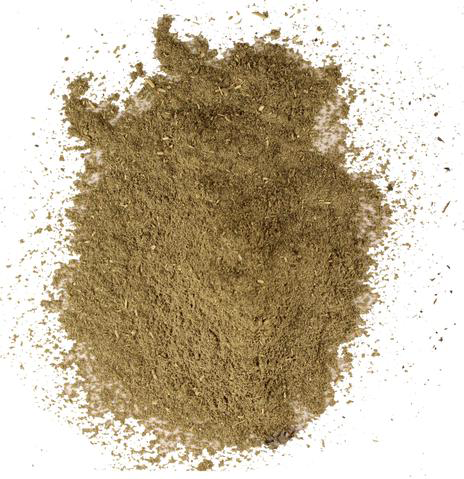 Libido Loss Male: Take Indian Spider Plant, 1 tablespoon Liquorice, 1 tablespoon Trailing Eclipta, 5 tablespoons Velvet Bean, 1.5 tablespoons Ginger, 1 tablespoon Black Henbane, 2 to 3 pinches Black Cumin. Powder them together. Have half teaspoon with water. Baldness: Take equal amount of Dried Bhringraj, Fresh or Dried amla, fresh flesh of coconut, olives, Almond. Grind all ingredients together. Apply on the scalp and hair. Wash with cold water after one hour. Alopecia Areata: Mix Snow Lotus oil with Coconut oil. Rub the mixture on the Bald Spots. After this, apply Eclipta Prostrate oil. Leave it for an hour. 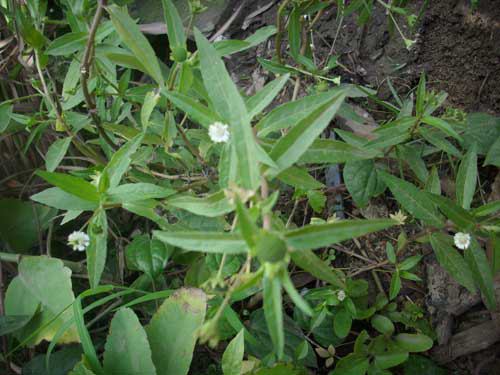 Wash.
Spleen disease: Take 1 cup of Eclipta Alba juice. Add half tsp each of Cinnamon and Cardamom powder. Take 1 tsp of the syrup twice a day. Liver Diseases: Add 10 ml Eclipta Alba leave juice in 20 ml Yogurt with a pinch of Black Pepper. Take 20 ml of the mixture with breakfast. Frizzy Hair: Take 200 g Indian Gooseberry, 200 g Acacia Concinna, 20 g Bacopa Monnieri, 1 g Asphaltum, 40 g dried Pomegranate peel and 20 g Eclipta Alba. Soak them overnight in any Iron bowl. Grind to make paste. Apply it on your Hair and Scalp. Wash after 3 hours with lukewarm water. Do not use shampoo. You may use Shampoo next day. Elephantiasis: Mix 1/2 part Sesame Oil in One part Eclipta Alba oil and apply on the affected area. Hair Care: Take 100 gram Orange Peels, 100 gram of Indigofera Linifolia, a small bottle of Psoralea, 3 to 4 pieces of Camphor, 250 gram of Amla Powder, 100 gram of Eclipta Alba, 100 ml of almond oil and 30 ml of Barami oil. All dried ingredients except Camphor place in a blender and blend coarsely. Now take 1 liter of your desired oil coconut oil and mustard oil preferable. Keep that oil on low flame. After 5 to 10 minutes, add all blended ingredients and oils too. Cover and wait until the ingredients turn to little dark. Switch off the flame. Add Camphor. Cool and store in a glass bottle. Use lukewarm oil 2 or 3 times a week for an hour. Use natural or mild shampoo to wash. Hair fall: Grind the sprouted Fenugreek seeds. Take 3 to 4 tablespoons of Brown Mustard Oil in a bowl. Add dried 5 to 6 leaves of each Curry Plant and Azadirachta Indica in oil. Now, add the ground seeds in the oil. Place the bowl under the sun for an hour. Mix 2 tablespoons of Eclipta Alba powder and Yogurt in the mixture. Grind in mixer. Apply it over scalp and hair. Let it dry. Wash it with normal water. Do it twice a week. Decoction of the plant yields a blue-black dye. It is used in India, often mixed with coconut oil, to dye the hair and prevent hair loss. It is also used for tattooing. Decoction of the leaves is used in India to encourage the growth of hair on new-born children. 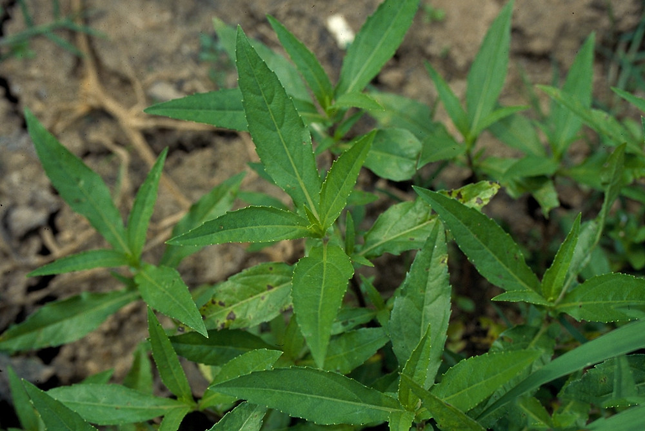 Foliage contains nicotine, which is used as an insecticide. Young leaves are used as a medicine for scorpion sting. Single plant can produce as many as 17,000 seeds. It may cause Genital Itching and Dryness. 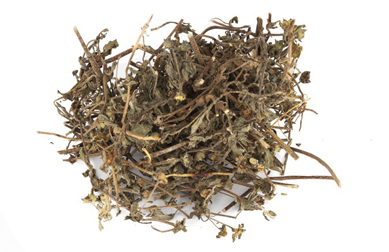 Consult your doctor first before taking this herb in case of Spleen, Stomach and Kidney Deficiency with Cold. Use with extreme caution for people suffering from Diarrhea. In excess dose it may cause stomach irritation, vomiting and nausea. Previous ArticleWhat is Almond Butter? Guyana: Bangraia, Congo-lanna, Congo lana. Indonesian: Orang-aring, urang-aring, daun sipat. Tender leaves and young shoots are cooked and used as a vegetable. Leaves are cooked and eaten as greens.